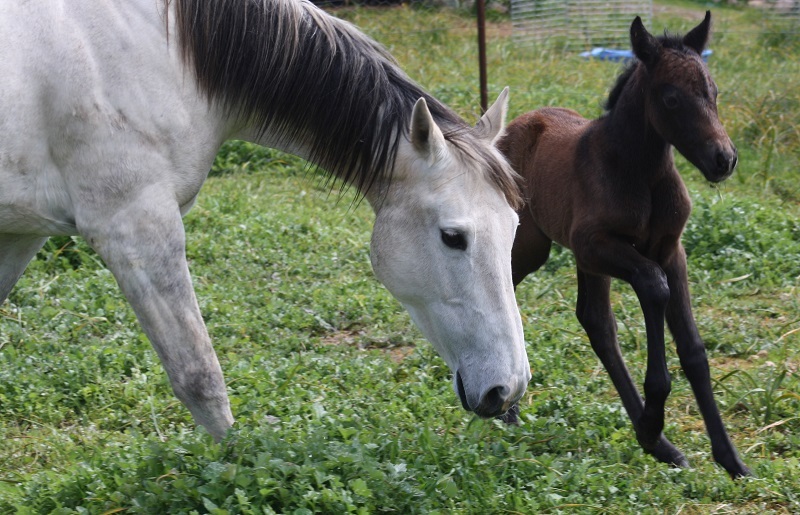 Introducing Powderbark Rosina, a gorgeous grey (from bay) filly by Glenormiston Fibber McGee and out of the Irish Sporthorse mare Rubyleigh Irish Rose. 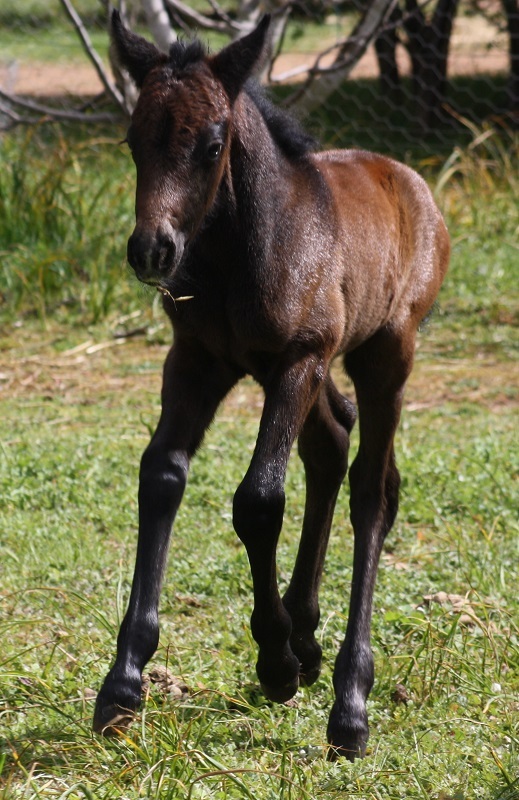 Rosina is still unscrunching but has all the signs of being a tall, strong yet elegant eventer just like her mother! 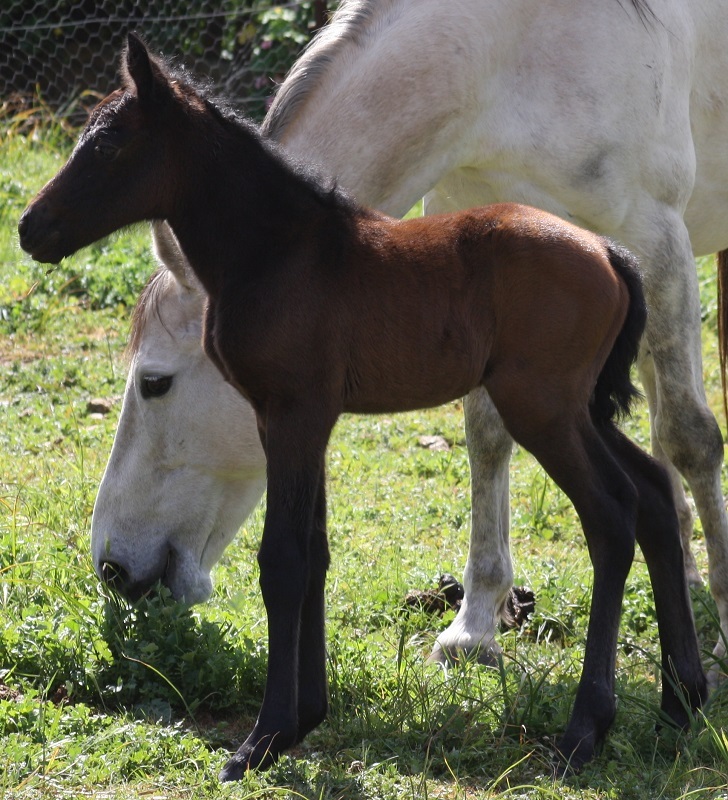 We are very, very pleased with this cross, and Ruby is an exceptional first-time mother.